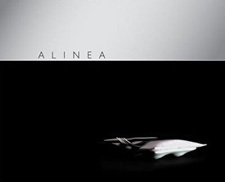 Alinea At Home: Here... have some sugar. Remember the $40 in wasted vanilla beans? After scraping out the insides of 10 vanilla bean pods for a powder that NEVER POWDERED (I'm still a little bitter about that, can you tell? ), I tossed those mostly emptied pods into a ziploc and stored them in the freezer because I knew I'd find a use for them when the food fog lifted and I was ready to re-embrace my kitchen. You don't even need a recipe. You put two vanilla bean pods into a jar and pour in some sugar. Seal it tight, shake it, and don't open it for a day or two... then, enjoy however you'd like. When the sugar runs out, you just add more to the jar. The pods should release fragrance and flavor for about 8-12 months. Along with a splash of whole milk, I like just a half teaspoon of raw sugar in my coffee every morning, and this vanilla bean-infused raw sugar doesn't make my coffee taste vanilla-y at all (Jean-Luc!)*. It just makes it more smooth and lovely and coffee-y. I've got many more pods in the freezer, so when these start to lose their luster, I'll start anew. What kinds of ingredients do you like to re-purpose? Any cooking accidents you've been able to salvage? How so? Hit me in the comments, and I'll pick someone at random and send them a jar of vanilla sugar. *Snort.... Jean-Luc. I remember thinking, when I was in junior high, how cool it was gonna be when I grew up and could drink that stuff. Only now, I know... IT'S NOT COFFEE! HILARIOUS - I bought those awful tins of flavored non-coffee for years (high school and early college) too! They seemed sophistocated - at least until the rage for "real" coffee arose in the 1990s. Awful, nasty brew but it does bring back the memories. Beet juice. We are beet freaks and I save the juice from pickled beets to dye eggs at Easter. It makes the most gorgeous shades of pink and yellow. I too keep this kind of vanilla sugar on hand all the time; when I was a kid, we kept ours in an old glass milk bottle. I'm a big fan of using parmesan rinds in vegetarian soups for that umami oomph they pack; even if the cheese itself goes off ( dries out b/c I left it sitting around or some such travesty) it can still be used to flavor soup. Cakes that don't bake right get turned into trifles; failed bread (underbaked in the center is a common problem I have) gets torn up, baked some more, and turned into croutons or breadcrumbs. And when I burn the veggie soup or tomato sauce at the bottom of the pan, the rest gets mixed with a bechamel, which conceals any lingering burnt bitterness quite nicely. Baconfat! I have a jar in my fridge that I frequently use and frequently refill. Parmesan cheese rinds! When I worked at an Italian restaurant we always saved them in the freezer and then stuck them in the pot/pan when we braised shortribs or shanks. Now I do the same! I am a chef at a country club, and the funniest re-use of something thus far for me is a bit gnarly. A couple of months ago I had a lunch for a bunch of women and they wanted some dainty, semi-sweet cold weather soup. I sold them on a curried pumpkin bisque. Well, the weather got kinda crappy and only about half of them showed up. Needless to say I had a ton of soup left over. Two days later I had a company Christmas party where the guy running the thing wanted a unique, seasonal and fun dessert. I pushed the soup through a sieve, added a couple quarts of heavy cream, a lot of sugar, a buncha egg yolks and turned it into pot de creme. I piped a ginger whipped cream over the top and served it old skool in a coffee cup with a doily and a cute lil tuile. These people went insane. They loved it. The kitchen staff tasted a bit of shallot undertone, but the party was raving about it. I have since booked two more events with the same group. It kept my food cost down, and they thought it was so creative. Think outside of the box, cause sometimes a spade ain't a spade. . . I like to debone my own chicken breasts and thighs for cutlets, then use the bones to make soup. Not very creative, I know, but I always feel so virtuous and frugal doing it. My most common kitchen failures that are salvageable are cakes. If they turn out too dry or generally unsatisfactory, I smush 'em up with some frosting, roll pieces into balls, coat them in chocolate, and call them cake truffles. A handy little trick! When I have lettuce or greens that have gone a little limp, I like to make a soup from them. Romaine soup is especially good! I like to make it with onion, garlic, tomatillos, jalapeno, chicken stock, and maybe, if I have some on hand, a little cream too. I tried to make myself some butter chicken, and even though the chicken was simmered in the sauce it turned out soooo dry. So instead of chucking the whole thing I picked out the chicken, added a little bit of chicken stock and some more sour cream and turned it into a pasta sauce. It was my tastiest failure yet! I had a batch of gingerbread caramel that never quite set enough to cut, so I scraped it all into a glass jar and we used it as a sauce to top vanilla or coffee ice cream. Now I undercook it on purpose. Yummmmm. Oh, it's also really good in coffee as sweetener. After a big fish fry (usually catfish, but occasionally bass or white perch)I crumble the fish, add egg and aromatics, seasoning (Chacheray's down here, Old Bay everywhere else, I guess) and a little binder (there's already corn meal on the fish)and bake them in the oven. They don't have to be fried because there's usually enough oil left in the fish to make them turn out crispy and delicious. I stick used vanilla beans into flour... it lends a nice subtle flavor to baked goods. wow - LOVE this. who knew vanilla sugar was so easy...and so pretty too! i dry the lovely, delicate skins from mandarins/satsumas and incorporate them in desserts for an infusion of orange flavor. One of my favorite tricks I learned was to peel and then freeze any leftover ginger root. You can grate it straight from the freezer into whatever you're making, and it saves you from having to stare at a shrivelled up old knob 'o ginger in your fridge! Best of all - you always have ginger on hand! I once made a spicy Mexican sour-cream/mayo based dip for a party and the recipe made much more than I needed. I saved half of it, and tossed it with cooked chicken, sauteed peppers and onions and cooked pasta for a spicy, creamy Mexican pasta dish. It's now one of our favorite meals. Since I am always cooking for one, I feel like I repurpose EVERYTHING in order to avoid eating too many straight leftovers. I made the mocha ripple from the Perfect Scoop by Lebovitz. It never really gets solid. I only made a half batch of tiramisu ice cream so I didn't need the full batch of ripple. I have been using the leftover ripple for chocolate milk and hot chocolate. I once made a pizza on a premade crust and the crust was so wretched that I couldn't eat it. It was so dense and awful and tear-inducing. but! I had used all these lovely, expensive ingredients for the topping and couldn't really bring myself to chuck the whole pizza. So I carefully scraped off the toppings (goat cheese, greek olives, carmelized onions, fresh herbs) and made a baked frittata. And it was awesome. I am usually pretty good at making pizza at home, but the last time I made it, I used a new dough recipe and wound up with more than I needed. Instead of doing the smart thing and saving some for later, I tried to make a huge pizza, which barely fit on my pizza peel. On top of that, I didn't have enough cornmeal on the peel, so when I tried to slide this oversized pizza into the oven, it tore and started to spill delicious toppings all over the oven. I had it half off when I realized I wasn't going to get it in and desperately called my partner to help me, even though neither of us knew what to do. I managed to get the entire mess back out of the oven and just balled the whole thing up, thinking I'd end up with something resembling a calzone. The sauce was starting to soak through the dough so I put it on foil and then in a baking dish so it wouldn't make more of a mess. What I wound up with was a 2-inch thick crust with a thin layer of toppings and more crust on top. It took an hour to bake and wasn't very good, although by the time it was done we were hungry enough that we ate it anyways. Oh well. I repurposed this past Sunday. After a foot of nearly unheard of snow, I made a big batch of pizza dough for my kids and their friends. They love grilled pizza, which I do in the oven if the weather is too bad to use the grill outside. At the end of the day, they wound up going elsewhere. Rather than freeze the dough, I stuck it in the fridge, let it come to room temp the next morning and we had warm pecan cinnamon rolls instead. After zesting citrus (or juicing it for that matter), I put the leftovers through the garbage disposal to disinfect and make it smell, well, not so garbage disposal-y. I've also been known to quick-pickle just about any vegetable that's on its last legs. When I make duck I save the duck fat. I use it to roast winter veggies or make duck fat braised potatoes with it. Everyone always wants to know why my potatoes and veggies are so insanely good. It is all about the duck fat. my biggest repurposing is bacon grease. i'm more one that when things go bad i throw it all in the garbage and walk away! I like to reuse old jars for storing misc. grains and dry goods... although I have to make sure to wash them well. I once had some vanilla sugar smell a little like the green olives that used to live in the jar... but it looked cute! My friend repurposes cheese rind into this amazing cheese spread. She throws all the rinds into the freezer and then when she has about a pound, she puts them in the food processor with...something...(this is the part I can never remember b/c she told me as I was eating said dip for the first time and between shoveling giant bites of it into my face, it began to dawn on me what I was eating and I had a mini freak out, which I quickly got over)and some thyme and some other stuff (Uh, sorry, I'm recollecting this so poorly) and then Voila! cheese spread. It's super pungent and stinky and awesome. She said it's a French thing. Anyone ever have this sort of thing before? I use cilantro stems to make Thai curry pastes. If I make mashed potatoes from russet potatoes, I roast the peels and make a full-flavored stock from them. For my New Year's celebration this year I made onion soup gratinee using a stock made from roasted duck bones. I pickle cabbage cores and chard stems. I slow-cook tough asparagus in salted water with butter, then push through a food mill to remove the stringy parts. I candy pummelo peel. I roasted a bunch of chestnuts recently, but many of them failed to peel properly; I'm going to cook those "failures" with cream and make a panna cotta out of the infused cream. I peel broccoli stems and cook them as a side vegetable. before i use any citrusy fruits (oranges, lemons, limes) i grate them n toss the zest into a jar of sugar. then rub the oils in with my fingers. this citrus sugar then becomes the PERFECT pick me up for cakes and curds when i feel like it. with vanilla bean pods, u can make vanilla extract too. simply drop used pods into a small container of vodka n keep them for weeks/months until the color turns brown. nifty! I recently bought an ISI whipper hoping to experiment with the many things I could aerate. I thought of aerating a custard. I was going to make a pot de creme, but instead chose to finish cooking the egg yolks on the stove top, creme anglaise style. I cooled it down and sieved it into my whipper. Charged it once, plopped it in the freezer for a few hours, and out came the fluffiest custard that I've ever had. I thought of bruleeing this creme brulee style, but it just wouldn't work. The next day, a friend brought over some brownies, and we had the tastiest, richest whipped cream we've ever had. The vanilla beans you haven't used can be put to good use making your own vanilla extract. Buy a cheap vodka and pour the contents into a large mason jar with ten or twelve of the beans. When your sugar vanilla loses it's lustre, just wash the stems off and throw them in the alcohol. Keep the jar in a dark place for six weeks or so and voila! Extract that you can use for all sorts of things. I keep the jar perpetually and just re-fill it with vodka and keep adding beans when I use them in baking. It's a great system. Any time I have a little water left over from cooking veggies, grains, lentils, etc, I save it in the freezer for future use in soups. Basically a quick vegetable stock. Each time it turns out a little different. I also save bacon grease for frying eggs, roasting veggies, or even for salad dressing. I freeze onion skins for stock. My mother always saved onion skins throughout the year, and at Easter we used them to dye Easter eggs. By March there would be a bulging net bag of onion skins! But now, since I live alone, I only save after Christmas - that's quite enough! When I juice fruit I save the rinds and all and add those to sugar an/or salt jar to "season" the mixture like you did with those pods. Lime salt adds a nice lil kick to any dish! Every year I grow and herb garden and try to move the herbs inside and every year my herbs do OK except for the rosemary, which dies a spectacular death within days. It goes from lush green to dead dry gray leaves and I just cannot throw them out. I can't. So I make rosemary infusions with the leaves. I add it to olive oil, to wine vinegar and to shampoo. Yes, shampoo. I also make teas for a quick hair rinse that not only smells great but makes your hair soft and pliable. I had tried making a gluten-free nut cookie, which wasn't holding together well. I still had the dough in the fridge when I needed to make a quick dessert for a cast party. (It was basically nuts, brown sugar, butter). I ground up some gluten-free gingersnaps, added some of the nut mixture, with some melted butter, pressed that into a springform pan. Made a quick no-bake cheesecake (cream cheese, a smidge of sugar, gelatin, rosewater, lemon zest and vanilla). It was really popular. I just moved to Italy and haven't quite gotten used to my tiny european convection oven (or 3Kw circuit breaker for the whole apartment-different post though) and when I over cooked a roast beef past the point of delicious lunch meat, I decided to keep braising it at a lower temp until it fell apart then made some of the most delicious rillettes I've ever had. Turned out to be a hit at the Superbowl party I went to! the worst cases are turned into bread crumbs in the food processor - and I don't care what kind of bread it is, as long as it doesn't have fruit inside, into the grinder it goes. Here's a couple - Save the drippings from a roasted chicken, mix with butter and mush in some of the now soft and squishy garlic cloves at the bottom of the pan, and then refrigerate. Roasted chicken essence in spreadable butter form. I saved some lamb fat that I rendered from the trimmings of some rack. OH MY it is so good...I put it on some cubes of bread and toast them in an oven and make lamby croutons for a greek type of salad with feta and cucumber and oregano and those flavors.